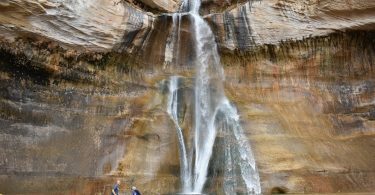 One of the most beautiful places we’ve ever stayed was at the Escalante Yurts in Garfield County. 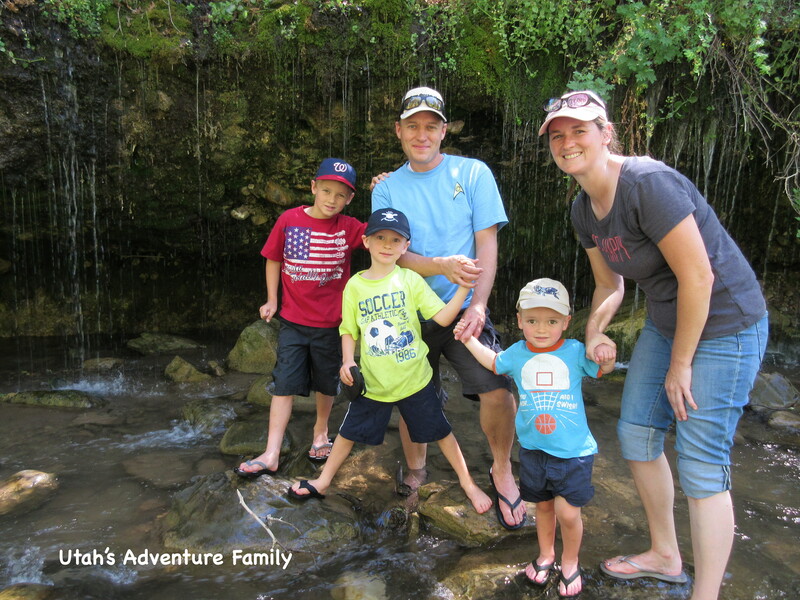 We were blown away at how luxurious they are, and situated in the heart of the county they have excellent access to three state parks and two national parks. They take “glamping” to a whole new level! The Cedar is one of the larger yurts. There are 2 large yurts and many smaller yurts. 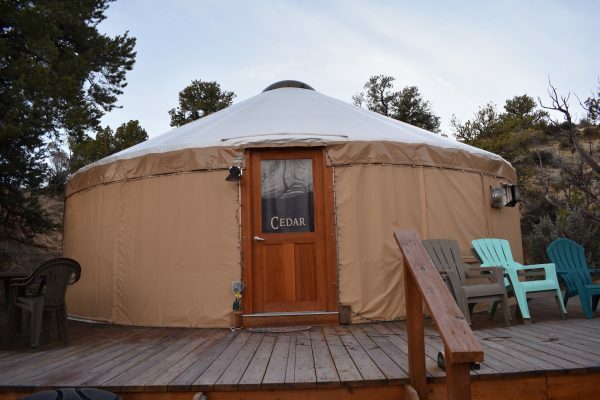 Our yurt was called the Cedar, and it had room to sleep 7 comfortably, plus a couch that could be used in a pinch. Three single beds are in an open loft, and it took about four seconds for our boys to claim those spots. They were so excited that they leaped up the ladder and chattered about their upstairs bedroom for nearly a half an hour. 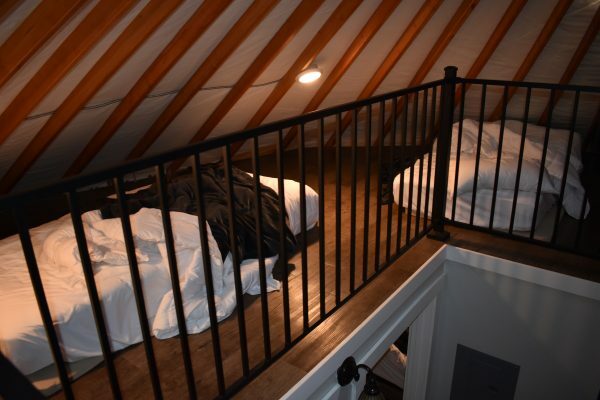 Having a loft in the yurt is such a fun idea. Meanwhile Mom and Dad explored downstairs. We found a mounted TV with dozens of channels, and a sitting area with a sofa and coffee table. There was even a fireplace warming the place nicely as we visited in March. 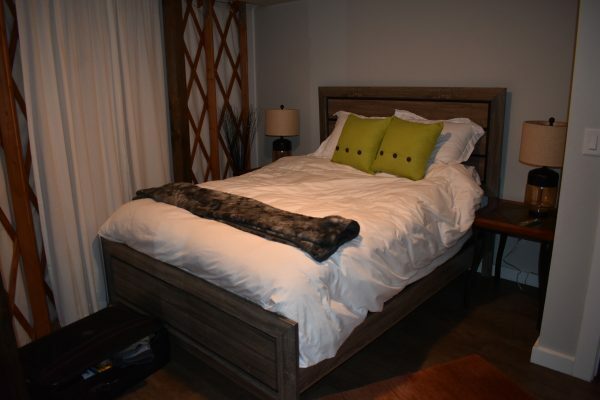 Two good-sized bedrooms (for a yurt) each have a queen bed and a door for semi privacy. 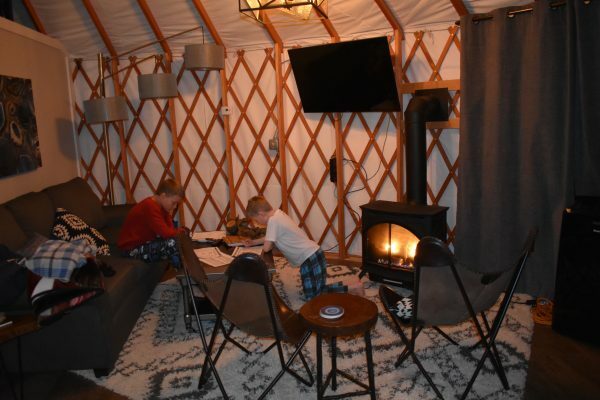 Because the yurt is round and made of canvas, the rooms aren’t completely tight and sound-proof. This room was our favorite. We loved sitting around the fireplace. The Cedar even has a kitchen. A full-sized refrigerator sits next to the dishwasher and microwave. There is even a two burner glasstop stove. The kitchen is stocked with cups, plates, and cutlery, too. 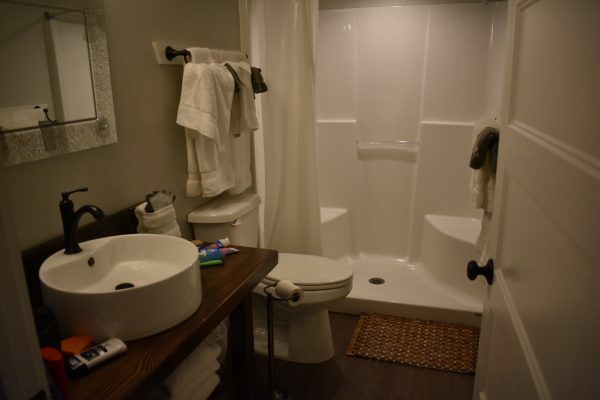 The bathroom has a big shower and everything else it needs. And this yurt is plush! There’s a beautiful, dark wood floor with thick rugs throughout. The furniture is nicer than anything we have at home, and the table that seats six is as big as our dining room table! The bathroom was really nice and super clean. Outside we found more amazing stuff. 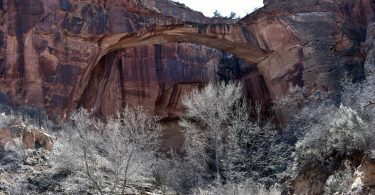 Of course, there is the beautiful secluded canyon country of Garfield County, but there is also a large deck, which is perfect for looking at the stars. The night sky is dark, and we enjoyed gazing at the stars each night before bedtime. 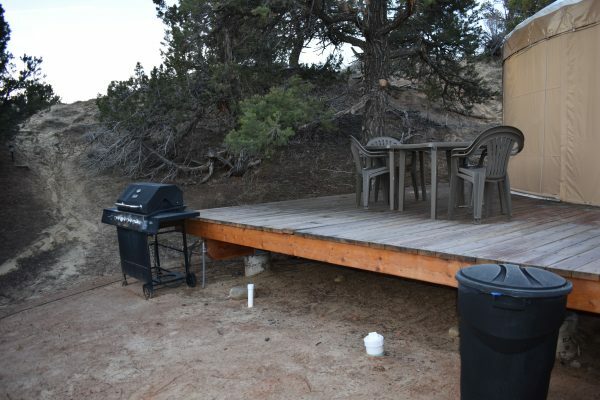 There is also a barbecue grill for outdoor cooking, and a table and chairs to enjoy your meals outside. There was a nice porch with a table and a bbq grill. 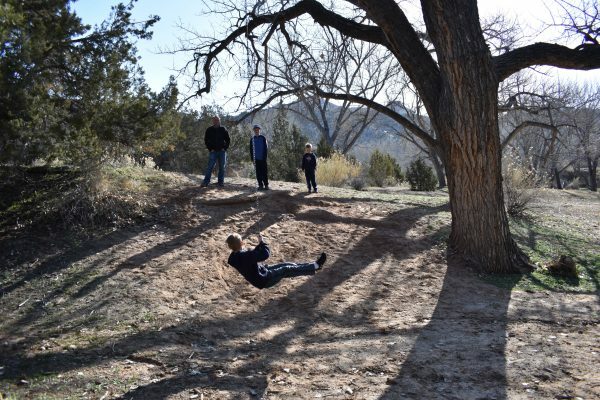 The property also has some fun activities for everyone to share. 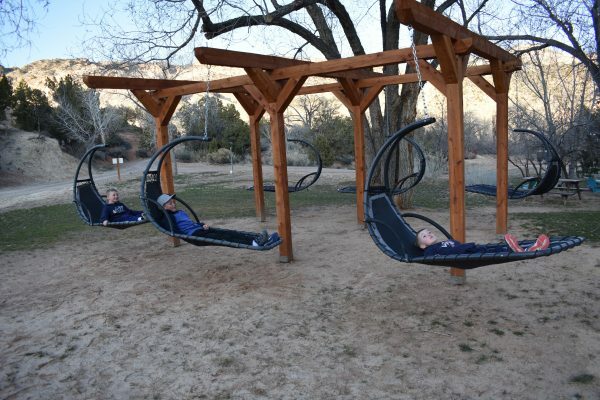 There are big hammock swings for relaxing, as well as a few hammocks. We enjoyed using one of the fire pits to roast marshmallows for s’mores one evening. Our boys also found a fun tree swing where they played for quite awhile. The hammock swings were so nice for relaxing. There are two different fire pits for everyone to use. The tree swing was a blast. 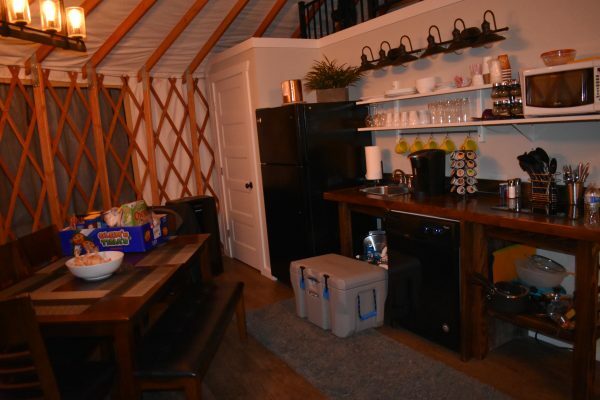 If you stay in a smaller yurt that sleeps 4, there is no loft and also no stove for cooking. It has a small fridge and microwave with a king size bed and a sleeper sofa. They are still very nice, but much smaller. They would be just perfect for a romantic getaway like an anniversary or honeymoon. 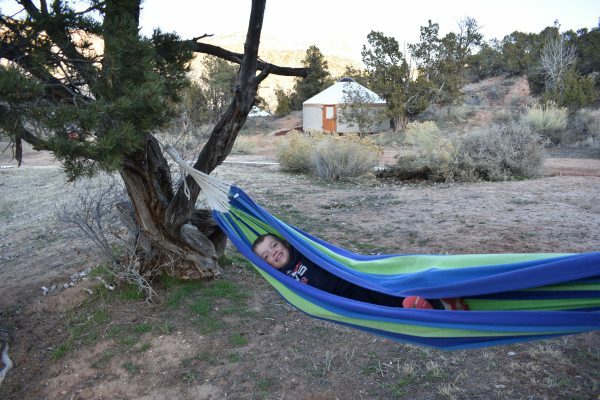 Escalante Yurts has a wonderful atmosphere and the owners are so kind and helpful. We definitely can’t wait to stay again. 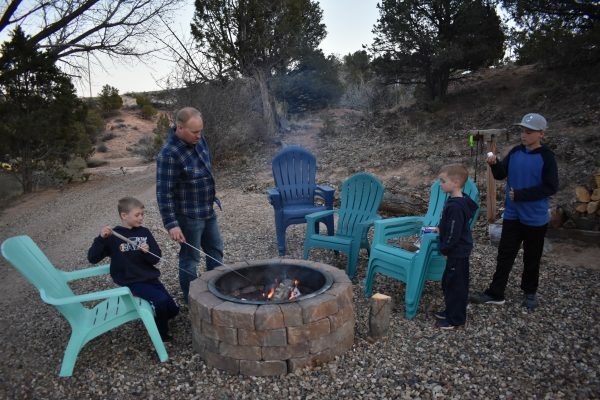 Escalante Yurts was a great family lodging spot. 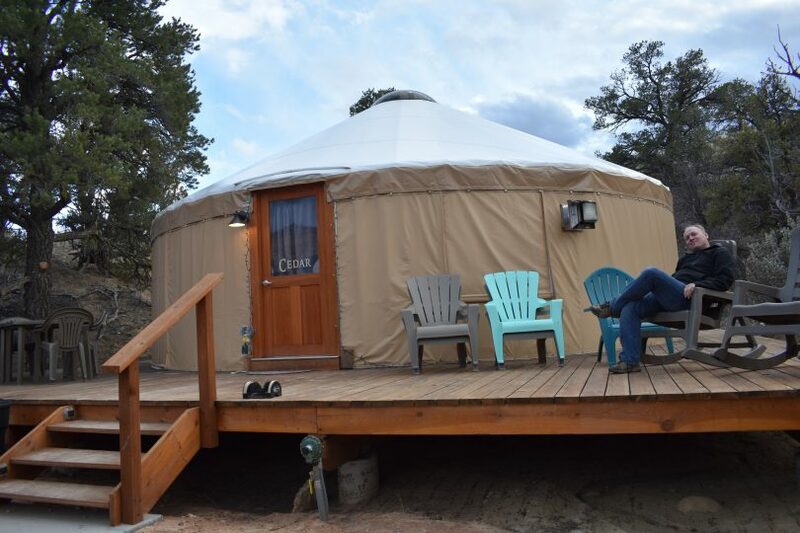 Disclosure: Bryce Canyon Country paid for our stay at Escalante Yurts, but our review is our own opinion.